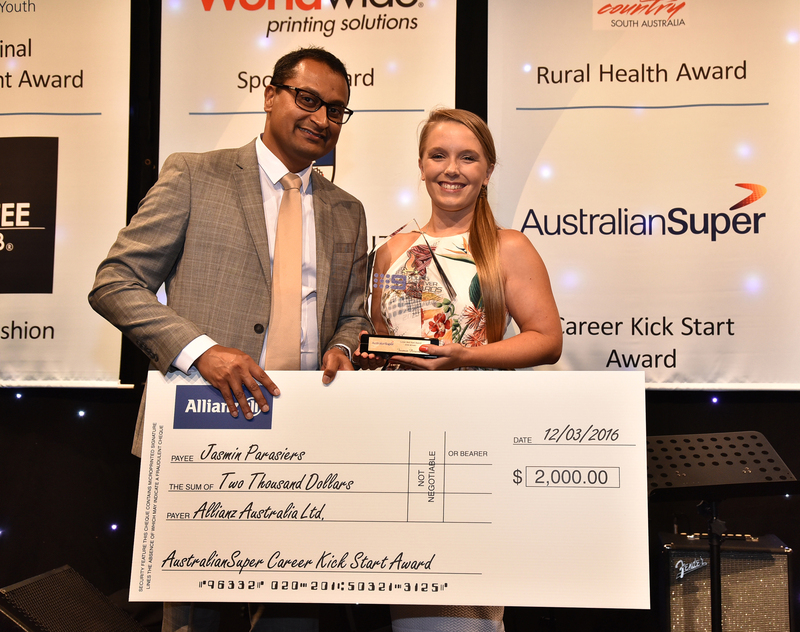 Faculty of Arts PhD Student Jasmin Parasiers has won the 2016 AustralianSuper Career Kick Start Young Achiever Award. Jasmin, Founder of Intuition Tutoring Services, beat a strong field of nominees to take out the $2,000 prize and trophy. In addition to running her own business, Jasmin is completing her PhD in History and working full time. She has also been elected the Secretary of the Association of Secondary Research Teachers and works heavily in assessment leadership. This entry was posted in Awards & Achievements, News, Research and tagged History. Bookmark the permalink.